Get away from her indoors. 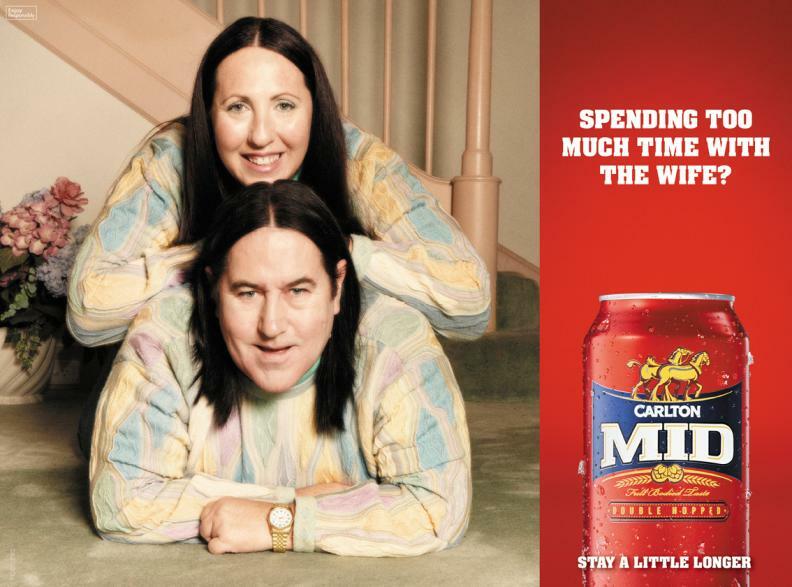 They say dogs grow to look like their owners - and Australian beer Carlton MID's premise for this print campaign is that if you spend too much time with your wife, you'll grow to look like her too. 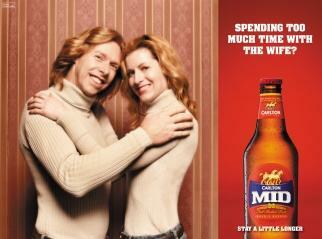 The tagline is 'Spending too much time with the wife? Stay a little longer.' Clemenger BBDO Melbourne created the ads as part of a long running campaign encouraging men to spend more time relaxing with their mates at the pub.